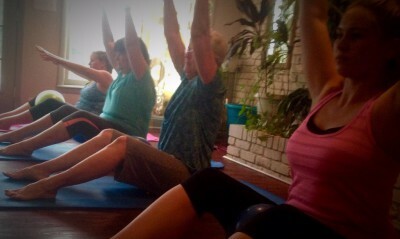 A pilates mat class consists of highly focused and controled movements with a small number of reps. The exercises deepen the mind/body connection, strengthen the core, increase spinal mobility, and improve posture. Small props may be added to classes such as toning balls, therabands, and stability balls. Barre fitness uses the focus and precision from Pilates and blends it with the grace and beauty of ballet and the strengthing aspects of atheletic conditioning. The class is upbeat. It sculpts the entire body and burns fat. 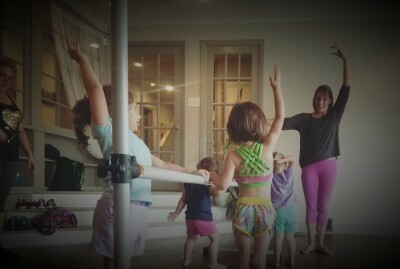 A Barre class uses a ballet barre, pilates mat, light weights and a small stability ball. A private session allows you to get one on one instruction that meets your individual needs, works at your individual pace, and pushes you to your personal limits. Private sessions will use classical Pilates apparatus (including a Gratz Reformer, a Gratz wall tower unit, and a heavily padded leather Gratz mat). 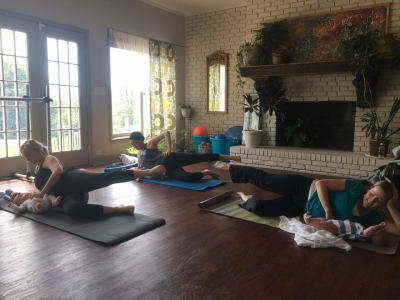 Private sessions are a great way to learn the proper technique and Pilates and Barre terminology and then use those skills in group classes, other fitness routines, and in everyday movement. Pilates and Barre are fitness routines that are great for EVERY- BODY, every age, every fitness level, every size. All of the exercises can be adapted to use the aid of a chair, either sitting in or standing next to for balance. You can acheive a total body workout using stabilization techniques, body weight, 1 lb. weights, small stability balls, flex bands etc. Special emphasis is placed on posture, core strengthening, balance and spinal mobility. What better way to spend time with your young lady than getting fit and building your mind/body connection together? This is a 4 week series for moms (aunt, grandma, adult friend) and girls age 6-12. It includes mat Pilates and Barre and uses props and partner work. 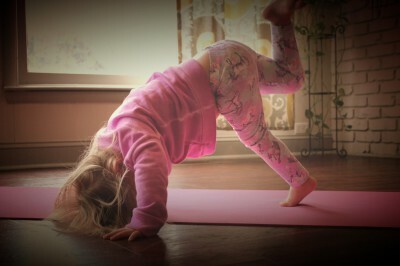 It's never too early to start teaching your children the importance of leading a healthy, fit lifestyle. 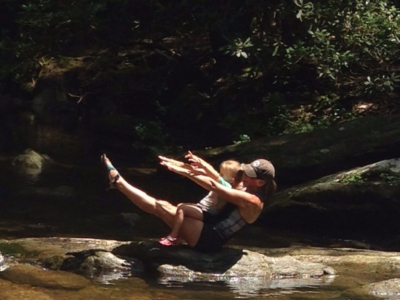 The mommy and me series allows moms to get a light workout that involves your little one too! This is a 4 week series for moms (aunt, grandma, adult friend) and children age 2-5. 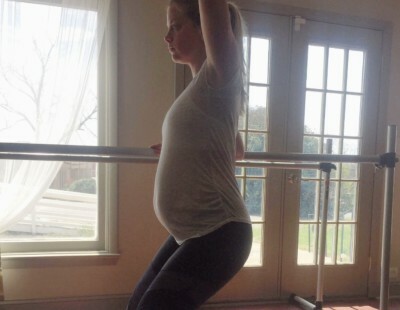 It includes Pilates, Barre, and stretching exercises. This class takes place during the morning - at a perfect time for moms who drop their kids off at MMO program and want to squeeze fitness into there "me time." Being a mom though is not required, of course. It is a a mix of Pilates mat and barre classes. A Mind/Body fitness class that emphasizes focus, precision, and core strength.